The water temp is 50 degrees, and water level remains very high. Last stock of trout was February 13th, 2019, 600lbs. Striper: Medium to Low Action: Slower this week, but still being caught this week out near the inlet using cut bait. 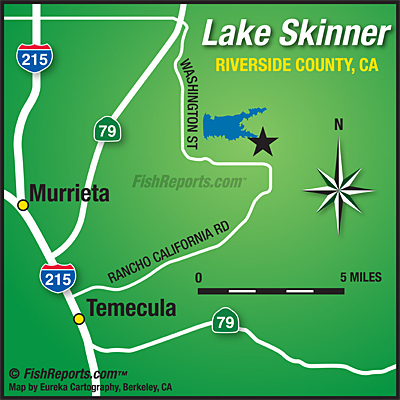 Bluegill: Low Action: Anglers this week caught Bluegills over at Ramp 2 using nightcrawlers. Catfish: Low Action: Slow for cats, try catching cats on anchovies, sardines and garlic nightcrawlers over along the bout line. Largemouth: Low Action: Anglers catching bass over to the right of marina towards East End, try catching them on purple and green robe worms and nightcrawlers. Trout: Medium seems to be doing the job! Next trout plant will be February 27th 2019, 600 lbs.